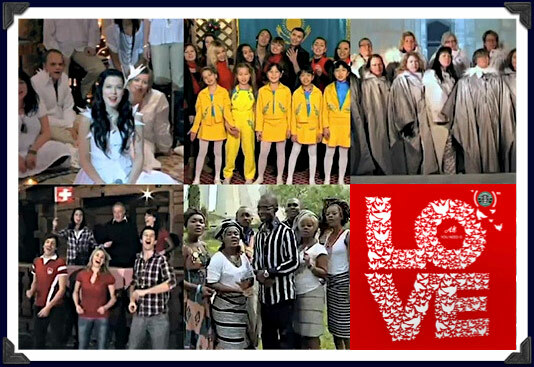 The Starbucks Love Project brought people together from 156 countries on December 7th, 2009 to sing The Beatles song, "All You Need Is Love". Their voices were joined together in this video to celebrate raising contributions amounting to the equivalent of 7 million days of medicine for people living with HIV in Africa. The result is a deeply moving expression of what people can accomplish when they come together to promote the power of love. Individual voices that make up an important part of the whole. The message here is simple... love, love, love. This is good for the world. I love it.